Adjusts to six different heights and three angles. Folds flat for easy for storage. 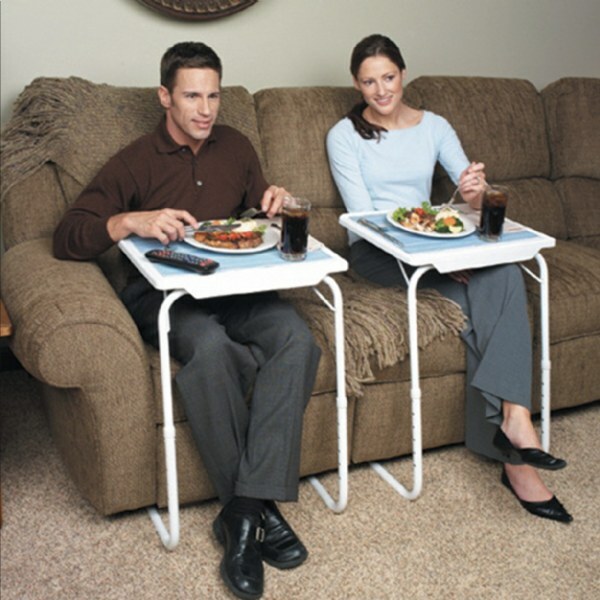 Eternal Adjustable Folding Table is great for eating, lap-top table, a study desk, reading, writing, drawing, board games, models, puzzles, arts and crafts, gardening, serving table, table to hold a computer keyboard and many other uses. Bought two for my husband and I. We love them.